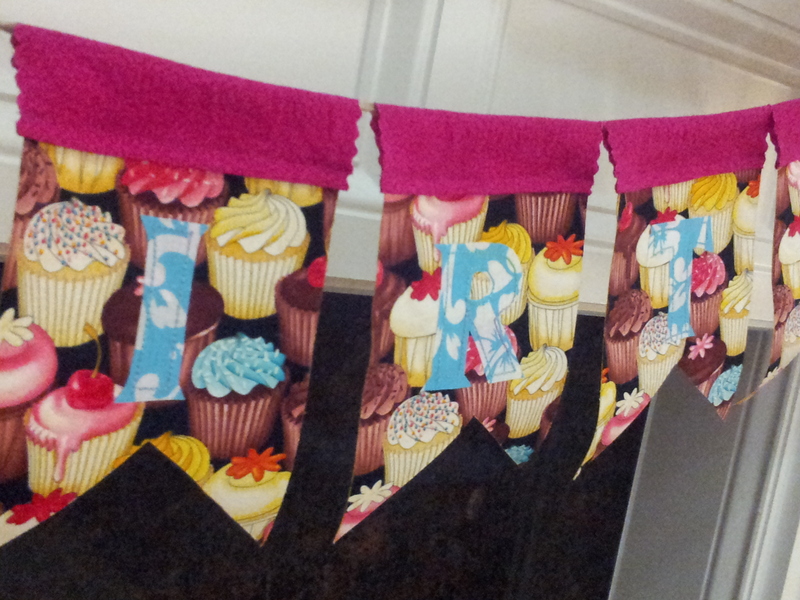 Mom said she wanted a Happy Birthday garland/banner/bunting for her birthday. 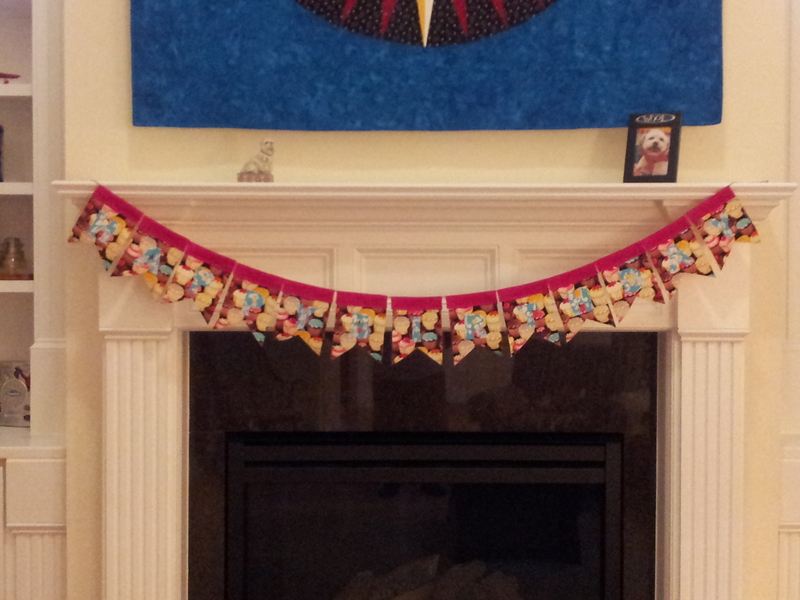 It’s a big one (70), so a handmade banner was in order. Pinterest, I finally heeded your siren song. 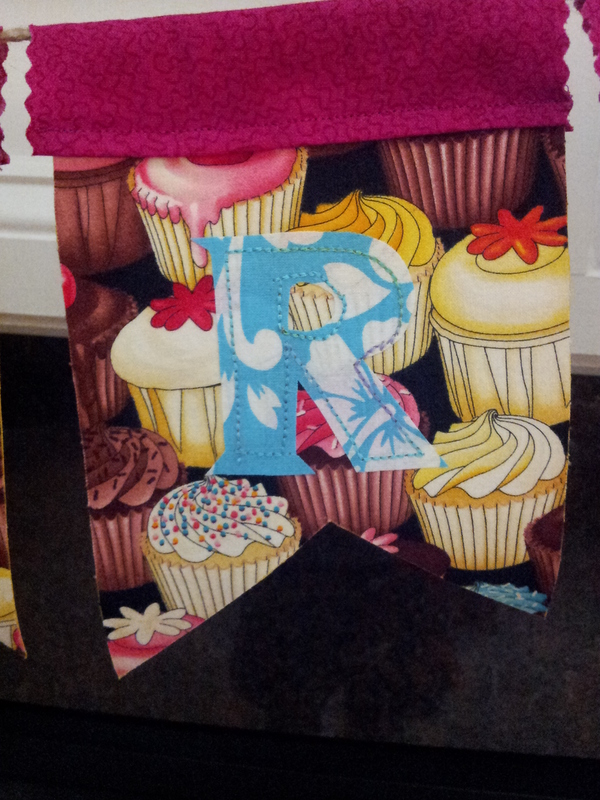 Construction notes: I used the large bunting template. Letters were printed at 66% of actual size. A 3″ narrow font letter set from Acc-u-cut or Ellison (they make die cutting machines) would make this project go even faster. Lots of fusing and just a little stitching. Letter were strung on twine – a heavier weight cording would have been nice – and taped to the mantel with blue painter’s tape. In hindsight, cupcake fabrics for the letters on a solid background or a dark solid on the cupcakes would’ve meant more contrast, but Mom loved it anyway. This project was TOTALLY from el stasho. This would also make a great classroom banner or seasonal decor.